This 8 compartment integral box features two rows of four equal sized sections and is designed to fit large or medium F-Boxes. 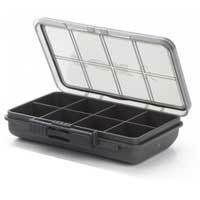 Perfect for separating very small items such as hooks, swivels, rings and beads. 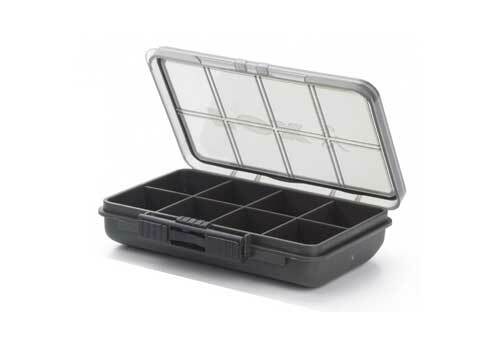 The box features a waterproof seal, long life hinges and a secure, locking slide catch.